Sri Lanka Apparel Exporters Association (SLAEA) on Tuesday called on authorities to negotiate for sector-specific liberalisation through the Economic and Technological Cooperation Agreement (ETCA) to have greater access to the Indian market. 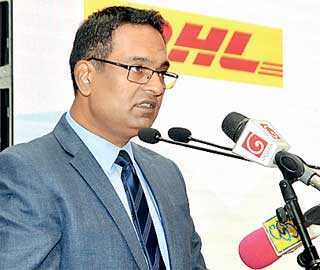 “Sri Lanka’s apparel industry is fully committed for a comprehensive trade relationship with India, and we as an industry even today are heavily dependent on India, not only for our inputs such as fibre, yarn, and fabric, but also on finished products too to the level of $700 million per annum. However, our exports to India on apparel is very limited, to a maximum of $40million. Therefore, we have requested our authorities to negotiate for a sectoral liberalisation through ETCA, but we see a serious reluctance in the negotiation process,” SLAEA Chairman Rehan Lakhany said at the 36th Annual General Meeting on Tuesday. Flagging this issue at the presence of High Commissioner of India to Sri Lanka Taranjit Singh Sandhu, who attended the event as the Guest of Honour, the SLAEA was still hopeful that a negotiated settlement was possible. “Any interim measure to enhance the quota of eight million pieces, without attaching strings such as Indian fabric usage, would come very handy, especially as a confidence-building exercise. If your Excellency could take a note of this request, it is well appreciated,” Lakhany appealed. It was pointed out India becomes a focal point for the fashion industry as its middle class consumer base grows and manufacturing sector strengthens. “Fashion players must redouble their efforts in this highly fragmented and challenging market, where an educated and tech savvy demographic rub shoulders with the poor and upwardly mobile, and it is for that reason we have continued to impress upon our Government to use bilateral FTAs as a tool for market penetration to these countries,” he added. The Chairman also said that they will continue to impress upon the Government the need to continue the trade policy agenda that they have begun, because the world is the market they are relying on. “Continuation of the trade policy frame work with the aim of increasing market access is vitally important to our industry, as we rely on the world market,” he stressed. Noting that the United Kingdom is positively considering the continuation of preferential treatment related to the EU GSP scheme for developing countries, including Sri Lanka, even after Brexit with or without a deal, he called on the EDB to be vigilant on this issue and to advise the authorities to take required action, to ensure that Brexit will not result in a disruption of trade between Sri Lanka and UK. In addition, Lakhany said as an industry they look forward to the Government’s assistance purely for the purpose of creating the right business environment, and wish to request upon the authorities for decisive policy frame work with consistency and predictability on the fiscal regime, trade policy with proper FTAs, and monetary policy, so as to ensure that they use our resources in marketing our products, rather than using them to resolve domestic process issues in transacting with the Government. Highlighting some of the issues on the domestic front, Lakhany said they started the journey in 2019 with a number of serious issues in hand: namely, the SLPA tariff increase, new Shipping policy draft, new procedure for monitoring of export proceeds, and non-issuance of export releases. He said a lack of consultative processes, advance notice on cost increases, inability to adjust existing contractual obligations to new cost structures, and non-recognition of the importance of credit facilities given to buyers to sustain the market access, are some of the practical issues that would be faced as a result of unresolved arrangements. Lakhany also called on the Export Development Board to avoid the introduction of ad-hoc policies and practices by different authorities without consultation, which will disturb the business environment, noting that it is the difficulty they have even right now. “We are with the EDB to arrest these unproductive trends,” he added.